It's been 16 long years since you could legally buy Land Rover's longest-lived and most iconic vehicle in the US of A. And soon, it'll be impossible for anyone anywhere to buy a new Defender. Automotive News Europe reported it spoke to a Land Rover official who said the current Defender will die "by the middle of the decade due to legislative reasons." Those "legislative reasons" might have something to do with the fact the Defender is a decades-old design that lacks any airbags or modifications for pedestrian accidents or any of the safety features modern cars have now. Land Rover was supposed to have solved all of this with the introduction of the new Defender previewed by the DC100 Concept shown a couple of years ago. 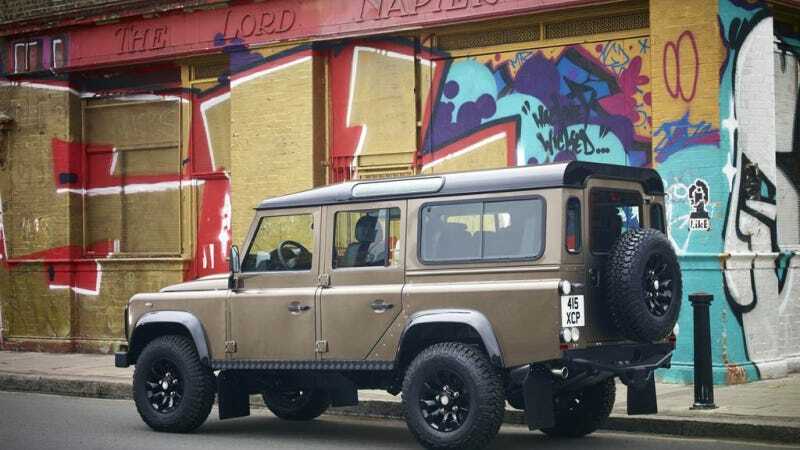 However, there's apparently a problem with building a financial case for this modern Defender. At this rate, even if it does get the official go-ahead, a production version won't show up in a showroom before the end of the decade. Even in Europe where it's still on sale new, Defenders haven't exactly been a hot seller. Fewer than 600 were sold through the first 8 months of 2013. Of course, you could always just buy a used one, but be careful. There have been some legal issues with Defenders in the U.S.